Progress report of Investigation& laboratory Department, General Prosecution Directorate, and Primary court and Appeal court of Counter Narcotics Justice Center. During the month of September 22- 0ctober 22-2018 police of counter narcotics along with other security and intelligence forces arrested 81 people including 2 women in connection to 56 cases of drug trafficking from all over the country and their cases are dispatched to Counter Narcotics Justice Centre for further prosecuting. Among the detainees, 34 of them wanted to transfer heroin-type drug and hashish carrying in their body (swelling) and travel luggages from Hamid Karzai International Airport to India they were identified and arrested by the police and responsible Prosecutor of Counter Narcotics Justice Centre. It is noteworthy that the total number of cases in the month of Sept22- October 22, 2018 (114,222) kilogram of heroin (13) kilogram of morphine (532.91) kilogram of opium (869,992) kilogram of hashish (1,096) kilogram of shisha or Cristal (6628) pills Psychedelic tablet (k), and (15,000) kilogram of henbane are discovered and seized . 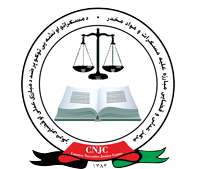 Meanwhile, during the month of Sept22- October 22, 2018 primary court convicted 33 people, including 2 women in connection to 24 cases from one year and six month till 16 year prison and also 27 people including 1 woman were sentenced to penalty in relation to 15 cases by Appeal Court of Counter Narcotics Justice Center. Police of counter narcotics from convicts accounted for more than 250 kilogram of heroin drugs, 4 kilogram of morphine, more than 269 kilogram of opium, more than 1476 kilogram of hashish, more than 2 kilogram of methamphetamine (glass), more than 2 kilogram of psychedelic tablet k 1,390 liters of Fermented raisins and Vitanol and 3330 liter of alcoholic beverages are discovered and seized while the detainees had been sent to CNJC for further prosecuting. On the other hand during this time after the decision of Appeal of Counter Narcotics Justice Centre the decision of 30 cases issued by Supreme Court’s public security bureau of Islamic Republic of Afghanistan. During the month of august current year Kabul province having 28 cases and Nangarhar having 7 cases of drug trafficking are at the top of the list of provinces with high-level cases of smuggling and drug trafficking. The provinces of Logar, Khost, Daykundi, Nuristan, Panjshir, Zabul, Wardak, Samangan, Paktika, Paktia, Laghman, Kunduz, Kunar, Ghor, Ghazni, Baghlan, Badghis, and Balkh are among the provinces that there are no cases of smuggling and drug trafficking registered with CNJC.